How many people get Lhermitte’s sign? What can I do if I have Lhermitte’s sign? How is Lhermitte's sign treated? Lhermitte's sign (pronounced Ler-meets) is a sudden sensation resembling an electric shock that passes down the back of your neck and into your spine and may then radiate out into your arms and legs. It is usually triggered by bending your head forward towards your chest. It is also known as Lhermitte's syndrome or barber’s chair syndrome. It can be a symptom of multiple sclerosis but also occurs in other conditions. Lhermitte's sign is a sudden, brief, sometimes buzzing sensation like an electric shock that moves down your neck into your spine. The neck pain may move into your arms and legs and sometimes to your fingers and toes. It is usually triggered by bending your neck so that your head moves down with your chin moving towards your chest. This trigger gives Lhermitte's sign its alternative name of barber’s chair syndrome as this movement is similar to when you move your head forward to let the barber cut the back of your hair. Lhermitte’s sign is classed as a type of nerve (neuropathic) pain. It usually only lasts a few seconds but can be very intense. For some people, it is painful but for others it just feels a bit strange. It is not life-threatening. Lhermitte’s sign is an example of paroxysmal symptoms. where there is a sudden onset of a neurological symptom, or a cluster of symptoms, that lasts only for seconds or a few minutes at most. Like many paroxysmal symptoms, Lhermitte's sign may come and go over time. It was named after the French neurologist, Jean Lhermitte, who first described it in 1924. A review in 2013 of past studies of the prevalence of different kinds of pain in people with MS showed that, on average, 16 in every 100 had Lhermitte’s sign. This was confirmed in a study of 694 people with MS which was published in 2015. The likelihood of experiencing Lhermitte’s sign did not correspond to someone’s age, gender, level of disability, as judged by their EDSS score, or how long they had been diagnosed. As Lhermitte’s sign is usually triggered by certain movements of the neck, you could try avoiding these whenever possible. As with many other MS symptoms, fatigue, stress and heat can also be triggers. It can help to pace yourself carefully, manage your stress levels and keep cool in hot weather. Lhermitte’s sign can be unsettling as it appears without warning. Mindfulness can make it easier to live in the present moment, rather than wondering if Lhermitte’s sign will affect you unexpectedly. Relaxation techniques such as meditation and massage can be helpful. You can read more about nerve pain in MS and managing pain yourself. Lhermitte’s sign is rarely treated as the pain is so sharp and sudden that it does not usually last long enough for pain treatments to take effect. However, there are some treatments that may help if the symptom is particularly troublesome. Talk to your MS nurse, neurologist or GP about your options. A soft neck brace or collar can limit how much your neck moves and minimise triggering Lhermitte’s sign. A physiotherapist may be able to suggest ways that you can improve your overall posture to help prevent an attack. You may be taught progressive muscle relaxation techniques, deep breathing exercises or stretching exercises which can take the edge off your pain. Electrical stimulating devices, such as TENS (transcutaneous electrical nerve stimulation), are helpful for some people. The drug treatments for Lhermitte’s sign are the same as for other types of neuropathic pain, usually amitriptyline (Triptafen), duloxetine (Cymbalta), gabapentin (Neurontin) or pregabalin (Lyrica) in the first instance. Some symptoms in MS can come and go in a very short time, but still be painful or disconcerting. 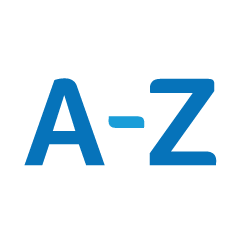 Find out more about paroxysmal symptoms in this A-Z entry. The two main types of pain in multiple sclerosis are nerve (neuropathic) pain and musculoskeletal (nociceptive) pain. Find out more about pain in this A-Z entry.